February 2018 - Patent my French! Dear readers, this is just a brief follow-up post on two topics previously addressed on this blog: partial priority at the EPO and vaccine SPCs. First, partial priority at the EPO. This was already addressed in the past here and especially there, where I talked about the decision of the Enlarged Board of Appeal G 1/15. Since then, another decision T 282/12 has been issued and has swiftly been presented on all good blogs (here, here and there). In this decision, it was ruled that the priority of a claim was partially invalid because the alleged priority document was partially not the first application for the invention at stake. As I have previously observed, although G 1/15 was almost unanimously welcome by the patent profession as a cure to the toxic divisional plague, the relatively flexible and generous approach of partial priority adopted in this ruling can also turn against patent proprietors when they file successive similar applications. In this respect, T 282/12 is not really groundbreaking. The same already happened in T 1222/11, the decision which was the first one to theorize the “generous approach” later endorsed by G 1/15. In this earlier decision, the refusal of the patent application at stake was confirmed by the Board due to the invalidity of a priority claim in view of an earlier application (by the same applicant) which contained the same examples as the alleged priority document. I always thought that it was somewhat paradoxical that this decision considered as life-saving by many in fact killed the patent application at stake. There is one remaining issue which may give rise to additional discussions, though. T 282/12 states that the priority is only partially, and not fully, invalid if part of the claimed subject-matter was disclosed by the same applicant in an earlier application than the priority document. T 1222/11 was in my opinion not so clear in this respect. However, is it really certain that this is consistent with the Paris convention and the EPC? After all, these treaties do not expressly contain the notion of a “partial first application“. So, it remains to be seen whether future decisions will be fully in line with this aspect of T 282/12 or not. It also remains to be seen what national courts will make of all this, as they are not bound by the Enlarged Board’s findings – least of all French courts if I may say so. In the meantime, extreme caution should be exerted when filing successive applications on similar subject-matter, especially when the supporting examples are the same. Second topic, totally unrelated to the first one: vaccine SPCs. Almost two years ago, Lionel Vial reported on this blog on the refusal of an SPC application filed by GlaxoSmithKline Biologicals (GSK) for the Cervarix vaccine by the INPI, and on the confirmation of this refusal by the Paris Cour d’appel. Interestingly, another French SPC application was filed by a different applicant, namely the Loyola University of Chicago, still for the Cervarix vaccine, and based on the same marketing authorization as the GSK application. The same causes often produce the same effects. Thus, this second SPC application was also refused by the INPI, and the appeal filed by Loyola was dismissed by the Paris Cour d’appel. As explained by Lionel in the earlier post, the Cour d’appel considered that the active substance in the Cervarix vaccine was in fact the same product as the active substance in the earlier Gardasil vaccine, for which an SPC had already been granted to GSK. The Cour d’appel did not change its mind in the Loyola case and reminded that only one SPC can be granted per product. The fact that the patent mentioned in the SPC application as well as the applicant were different did not change anything. To Loyola’s credit, whether both active substances are actually the same is not straightforward here. This is because one critical protein in the Cervarix vaccine is obtained differently (via insect cells rather than yeast cells), and is truncated, relative to the same protein in the Gardasil vaccine. Therefore, it was probably worth giving it another try despite the previous negative decision. An interesting variation of the insect pictured in the earlier Cervarix post. Loyola made ample reference to its own patent and to a later scientific publication as evidence that the difference in protein structure had an impact on biological properties. […] The INPI rightly states that this change is minor […]. Even though the appellant claims a different structure and different properties, they do not show that these modifications are anything but minor, as the active substance remains the same and the preventive purpose remains the same. The INPI rightly states that an increase in the capacity to form VLPs, a higher yield, a higher purity level, a more regular shape, a reduction in the risk of cellular DNA encapsidation or even a better stability, are changes which do not alter the nature of the active substance or its preventive purpose; they do not make it possible to conclude that the products are different. So, once again, insects and yeast – same difference. CASE REFERENCE: T 282/12, (Coated tablets / JOHNSON & JOHNSON), Board of Appeal 3.3.07, November 9, 2017, Pfizer Inc. v. Johnson & Johnson Consumer Inc.
CASE REFERENCE: Cour d’appel de Paris, pôle 5 chambre 1, December 19, 2017, Loyola University of Chicago v. Directeur Général de l’INPI, RG No. 2016/17848. Today, it is back again to one of the topics regularly addressed on this blog, namely the statute of limitations for patent nullity actions in France (but not only!). Matthieu Dhenne was kind enough to send me a brand new decision from the Paris Tribunal de grande instance (TGI) which, once more, sheds new light on this thorny issue. The patent at stake is the French part of EP 1455756, to Merck Sharp & Dohme Corp. (MSD). The patent was granted on July 9, 2008. It was opposed by two generic drug manufacturers. 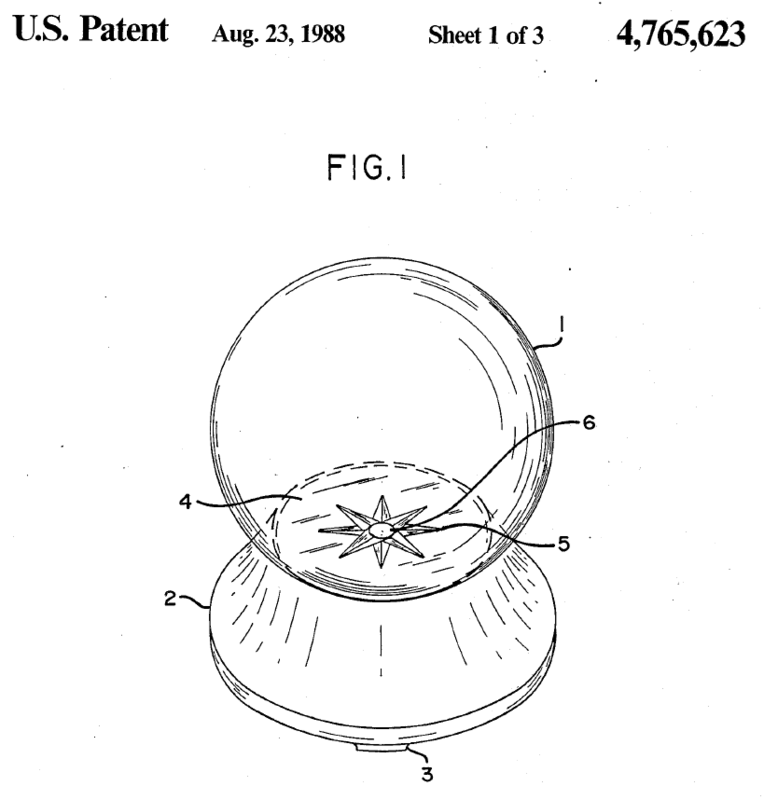 At first instance, the patent was maintained in amended form, according to a decision dated December 3, 2010. The opponents appealed, and their appeals were dismissed by the Board of appeal in a decision dated July 17, 2014. The publication of the amended patent took place on September 23, 2015. Soon thereafter, on December 2, 2015, Ethypharm filed a nullity action with the Paris TGI, requesting that the French part of the patent should be revoked. Quite predictably, MSD argued that the nullity action was time-barred. If one directly applied the recent case law of the Paris Cour d’appel (discussed here), this should be a winning argument. Indeed, the Cour d’appel has proposed that the five year-limitation period be computed from the date of grant of the patent. With this in mind, in this case, the limitation period would have ended on July 9, 2013. But you and I know that things are not that straightforward, as the Paris TGI does not follow the case law of the upper court, and generally favors an in concreto determination of the starting point for the limitation period (see a recent example here). […] It is only on [July, 7, 2014, i.e. the date of the Board of appeal’s decision] that the drafting of the patent which is sought to be revoked was stabilized and that Ethypharm was able to precisely know the content of the claims of said patent as well as all the facts making it possible for them to act, so that the action is not time-barred and is admissible. I must say I have mixed feelings about this. My initial reaction was, oh no, you must be kidding me, there is now yet another way of determining the starting point for the limitation period? This is not legal uncertainty anymore, this is legal chaos. A few seconds later, I thought, well yes, it does make sense after all, you can’t possibly be expected to shoot at a moving target. When a patent is modified during opposition proceedings, any appeal filed at the EPO has a suspensive effect, and thus it is only once the appeal proceedings are terminated that the content of the patent is final. A party must act within five years from the date at which they knew or should have known that the patent at stake is a possible impediment for their current or future business activities, or else be time-barred (this is more or less what I understand to be the TGI’s usual position). And how can a party know this before the patent is even its final form? However, this ruling raises more questions than it provides answers. What if an opposition is rejected by the opposition division and the patent thus maintained as granted instead of as amended? Should the reasoning be the same? What if an opposition is filed by a straw man (which is allowable at the EPO) and there is thus an unverifiable suspicion that the nullity claimant itself may be the true opponent, in an attempt to artificially extend the limitation period by several years? In his message to me, Matthieu Dhenne also noted that the court’s reasoning could be applicable to other situations: limitation proceedings, but also a prior nullity suit brought forward by a third party. Taking this one step further, he observed that a patent right can in fact be modified at any time and is therefore theoretically never “stabilized” until it expires (sometimes, it can even be retroactively “stabilized” only after its expiry). He thus suggested that the full consequence of the court’s reasoning should be that the limitation period can only start running at the expiry of the patent, so that the well-identified drawbacks of this limitation period should in practice never occur. Matthieu added that there would thus be a complete parallelism between the limitation period for infringement actions and nullity actions. Accordingly, invalid patents would not be able to unduly hinder free competition. Definitely an interesting suggestion, but is it really what the TGI had in mind? I am quite sure we can expect more surprises in future decisions. Apart from this, the decision is worth the read beyond the admissibility part. First, it turns out that the nullity claim was held ill-founded on the merits and thus dismissed. As the patent in suit is a pharma patent, this is already quite remarkable. A majority of pharma patents which are litigated in this country are revoked one way or another. Second, the decision tackles the very interesting issue of plausibility. There has been a significant trend in France for patents to be revoked when they are held to be of a speculative nature. See for instance previous posts here, here and there. In the present case, Ethypharm argued that the patent was of the speculative kind, which resulted in insufficiency of disclosure and lack of inventive step. A nanoparticulate composition comprising the compound 2-(R)-(1-(R)-(3,5-bis(trifluoromethyl)phenyl)ethoxy)-3-(S)-(4-fluoro)phenyl-4-(3-(5-oxo-1H,4H-1,2,4-triazolo)methylmorpholine, or a pharmaceutically acceptable salt thereof, the compound having adsorbed on the surface thereof at least one surface stabilizer in an amount sufficient to maintain an effective average particle size of less than about 1000 nm; where “effective average particle size of less than about 1000 nm” means that at least 95% of the particles, by weight, have a particle size of less than about 1000 nm. This drug composition is useful in the treatment of nausea and vomiting, especially those induced by a chemotherapeutic treatment. The short name of the active compound is aprepitant. According to the patent, the technical problem at stake was to improve the bioavailability of aprepitant. This is stated in the patent but no experimental test results are present, which led Ethypharm to consider that there was no evidence in the patent that the technical problem was properly solved. Ethypharm also tried to use some of MSD’s posterior testing against them, by claiming that they proved that there were features missing in the patent which were essential for successfully implementing the invention. The court was not convinced that there were indeed such essential features missing. The court also noted that there was a reference in the patent in suit to a prior U.S. patent disclosing the so-called “Nanocrystal” method, for making nanoparticles with a surface modifier adsorbed thereon, having an average size of less than 400 nm. This Nanocrystal patent also taught that such nanoparticles improve the bioavailability of poorly water-soluble actives. Thus, said the court, the improvement in bioavailability provided by the nanoparticle form of aprepitant was plausible. In such a case, the court continued, evidence which is external to the patent can indeed be taken into consideration for demonstrating that the technical problem is solved. The court then reviewed a number of articles and reports and was satisfied that the technical effect of improving bioavailability was well achieved. In summary, this is an important decision for the fine-tuning of the appraisal of a speculative patent-type objection. To me, the take-away message is that a reference in a patent to a prior art document disclosing a technical effect provides some plausibility that the technical effect is indeed achieved. From drug crystals to crystal balls: could they possibly help us decipher future case law? The patent survived other attacks of insufficiency of disclosure, extension of subject-matter and lack of inventive step. Quite remarkably, the main claim was in particular found to be non-obvious over the “Nanocrystal ” European patent of the same family as the U.S. patent mentioned above, which was used for supporting the plausibility of the technical effect. [The “Nanocrystal” prior art] does not disclose chemical structures or features of drugs intended to be used by this process. It only mentions that it can be implemented with a large variety of medicinal substances, the substance having to be poorly soluble, that is less than 10 mg/mL, so that the skilled person does not know which actives […] can be tested with a reasonable expectation of success. He was all the less incited to do so that in December 2001, i.e. almost ten years after the priority date of [the Nanocrystal patent], the nanonization process, which has a number of constraints (in particular the heat released during milling may change the structure of the active substance and reduction to a very small size may create a problem of chemical and physical stability), was used on only four active substances (danazol, steroid A, compound WIN 63,394 and naproxene) with a verified effect on bioavailability […]. I have the uneasy feeling that there may be a contradiction here between the sufficiency and inventive step prongs of the court’s reasoning. If the teaching of the Nanocrystal patent cannot be applied in an obvious manner to aprepitant, and if there are many technical uncertainties, why is it then not necessary for the MSD patent to contain evidence in the form of experimental tests showing that the process can in fact be effectively applied to this particular drug? CASE REFERENCE: Tribunal de grande instance de Paris, 3ème chambre 2ème section, January 26, 2018, Ethypharm SAS v. Merck Sharp & Dohme Corp., RG No. 16/01225. Posted on February 12, 2018 February 11, 2018 Categories French case law, Inventive step, Limitation period, Sufficiency of disclosure1 Comment on Will case law crystallize? In the case reported on today, two of the plaintiffs, namely one Korean company and its French subsidiary, are called I Do It. This a great name, which immediately suggested a title to me but also a guideline for this post: today’s question is indeed, if they do it, should you do it too? 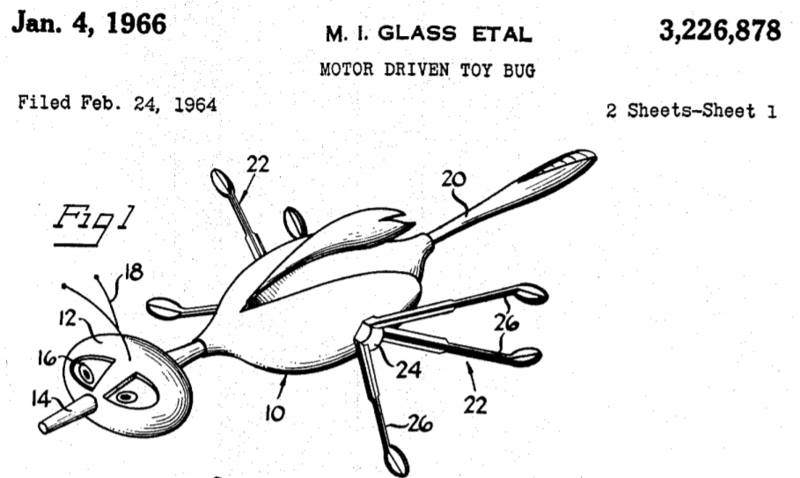 European patent No. EP 1930982, relating to a “Horn array antenna for dual linear polarization“, was granted in 2010 to two individuals, Mr. Joon Im and Mr. Wan Ryu. In December, 2015, the patent was assigned to their company, I Do It (the Korean one). Before the assignment, in October 2013, the French I Do It company commissioned a bailiff’s report in an exhibition. In June 2015, both the French and Korean companies filed a patent infringement lawsuit against Alden, a company based in Alsace, in front of the Paris Tribunal de grande instance (TGI). The first interesting issue in the decision issued by the TGI relates to the admissibility of the infringement complaint. When the complaint was filed, in June 2015, I Do It did not yet hold any rights on the patent at stake. The assignment was only executed in December 2015, and published at the French patent register in February 2016. What is more, the 2015 assignment did not contain any provision authorizing the assignee to sue for infringement acts performed before the assignment. I assume that this point was raised by Alden during the written proceedings, which led the original patent owners and I Do It to execute an addendum to the assignment in February 2017, granting I Do It the missing authorization to sue for past infringement acts. In view of article 126 of the Code de procédure civile, the court held that the complaint was admissible, since this legal provision makes it possible for an initially inadmissible complaint to be regularized up to the day the judgment is issued. So, should yo do it too? Well I would certainly advise against initiating patent infringement proceedings on behalf of a company not holding any current or past right on the relevant IP. But, for once, French law appears to be quite flexible and little demanding in this respect. For those who like to do it themselves: here is a patent application directed to an item comprising a piece of coal and an instruction manual. 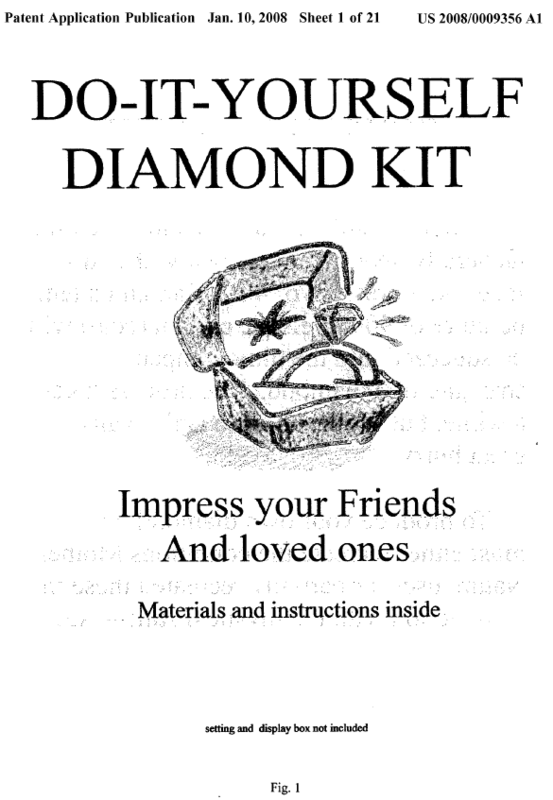 I quote: the benefit to the purchaser is the fun in reading the manual, and imagining that they can turn the coal into a diamond like one of the pictured ideas presented in the manual. Second interesting issue, the bailiff’s report of October 2013. The important point here is that we are talking about a standard bailiff’s report, and not about a seizure (saisie-contrefaçon), which is the usual measure taken at the onset of patent litigation in this country. The French company I Do It filed a request in front of the Bobigny Tribunal de commerce and obtained an order from this court authorizing a bailiff to go to an exhibition, verify whether an allegedly infringing antenna was presented by Alden there, inquire about the pricing and origin of the product, etc. The order was granted and the report drawn up by the bailiff accordingly. The legal basis for the request and order was article 145 of the Code de procédure civile, which is a very general provision per which “if there is a legitimate reason, prior to any litigation, for preserving or establishing the evidence of facts on which the outcome of litigation could depend, legally admissible measures of taking evidence may be ordered upon request of any interested party, ex parte or in urgency proceedings“. Alden argued that the inspection of the exhibition by the bailiff was in fact a saisie-contrefaçon and should thus have been requested under the special provisions of article L. 615-5 of the Code de la propriété intellectuelle. They thus requested the cancellation of the bailiff’s report. The court held that “the mission [of the bailiff] did not comprise any measure relating to a saisie-contrefaçon, and besides the bailiff did not accomplish any investigations exceeding the scope of a report“. Therefore, the 2013 bailiff’s report was not canceled. I must say that I am quite surprised by this part of the decision. Going to an exhibition, checking whether an allegedly infringing product is present, inquiring about the price and origin of the product… These are very typical steps taken during a saisie-contrefaçon. Had the judges seen things this way, then it seems highly doubtful that they would have found that resorting to a bailiff’s report under the general provision of article 145 is a possible alternative to a true saisie-contrefaçon. If I Do It had gone for a saisie-contrefaçon, they would have needed to place their request with a specialized IP judge in the Paris TGI, instead of a suburban court fully inexperienced in patent matters. A request for saisie-contrefaçon would certainly have been denied by the specialized IP judge based on the facts at hand, as I Do It apparently did not hold any rights to the patent back in 2013. Assuming that a saisie-contrefaçon had been performed, I Do It would then have had approximately 1 month to file a patent infringement lawsuit, or else the seizure (including the bailiff’s report) would have been automatically void. In contrast, by resorting to an article 145 investigation, I Do It was able to wait for almost 2 years before filing suit. In summary, although the saisie-contrefaçon is often viewed as a powerful tool for patent rights holders to collect evidence, it also offers a number of guarantees to the defendant, which are not all necessarily present in an article 145 investigation. So, should you do it too, i.e. should you consider an article 145 investigation as a creative alternative to the usual saisie-contrefaçon when faced with suspected patent infringement? Well, this option is certainly worth considering. But I would certainly recommend extreme caution, as today’s decision is somewhat surprising and does not necessarily set a strong precedent. Third and last interesting point: the assessment of infringement. Here, again, the case was unusual. The plaintiffs’ argument was that Alden bought antennas from an Austrian distributor of I Do It’s products, made minor modifications and then marketed the antennas under their brand name. “Therefore“, I Do It argued, Alden’s antennas exactly corresponded to the product protected by EP’982; and exhaustion of rights did not apply as the products marketed by the defendant no longer exactly corresponded to those put on the market with the consent of I Do It. Unsurprisingly, the TGI dismissed the infringement claim, as there was no demonstration of the implementation of the claimed subject-matter by the allegedly infringing antennas. It is certainly not sufficient for a patent proprietor to assert that its own products are covered by a patent. Even this assertion, assuming it is relevant in a particular case, needs to be precisely demonstrated, claimed feature by claimed feature. So here the conclusion is pretty clear: no you should not do it, i.e. you should never consider as a patent owner that you can do without a thorough, detailed, technical demonstration that the products at stake fall within the scope of a patent. Before, concluding this post, I would like to say a few words about an exciting upcoming conference regarding the French statute of limitations for nullity actions in IP law. Frequent readers of this blog know of course that this is a very hot topic these days. The date is March 15, 2018, the time is 1:30 pm to 6 pm, and the venue is Paris, Assemblée nationale – no less. Here is a link to the program of the conference as well as the necessary information for signing up. Should you do it, i.e. attend this event? Yes indeed, and as I will unfortunately be unable to be present, I would be most grateful if any attendee could provide us with the highlights of this afternoon. CASE REFERENCE: Tribunal de grande instance de Paris, 3ème chambre 3ème section, November 10, 2017, Seung Joon Im, SARL I Do It & I Do It Company Ltd v. SAS Alden, RG No. 15/10320. Posted on February 5, 2018 February 4, 2018 Categories French case law, Saisie-contrefaçonLeave a comment on Should you do it?